Compare per gene batch effect correction versus genewide batch effect correct using the [filtered data]. Restrict correlation to between -1 and 1. 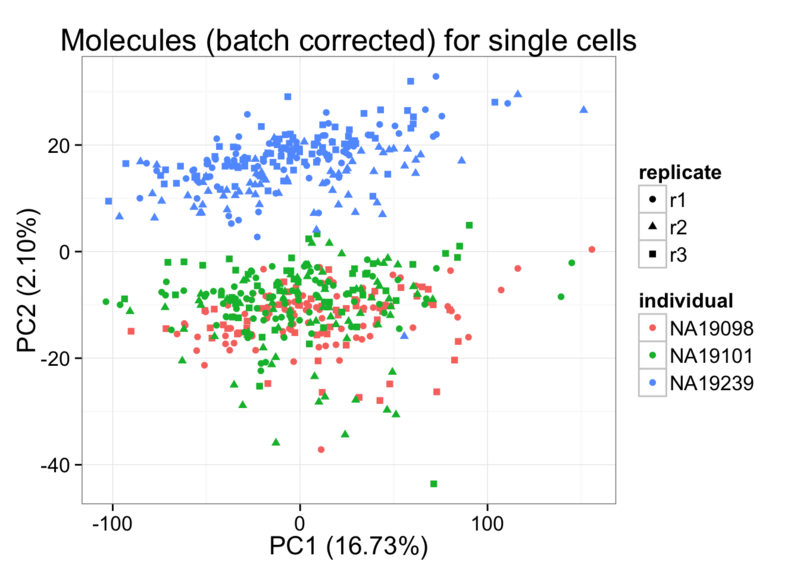 Distribution of per-gene cell-to-cell correlation across batches. 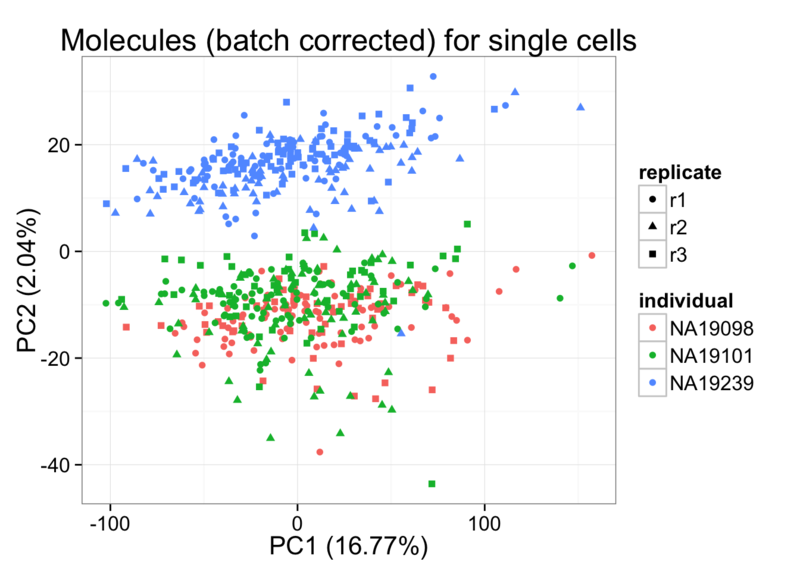 *Gene ranks per cell are consistent between the gene-wise correction and the gene-wide correction methods. 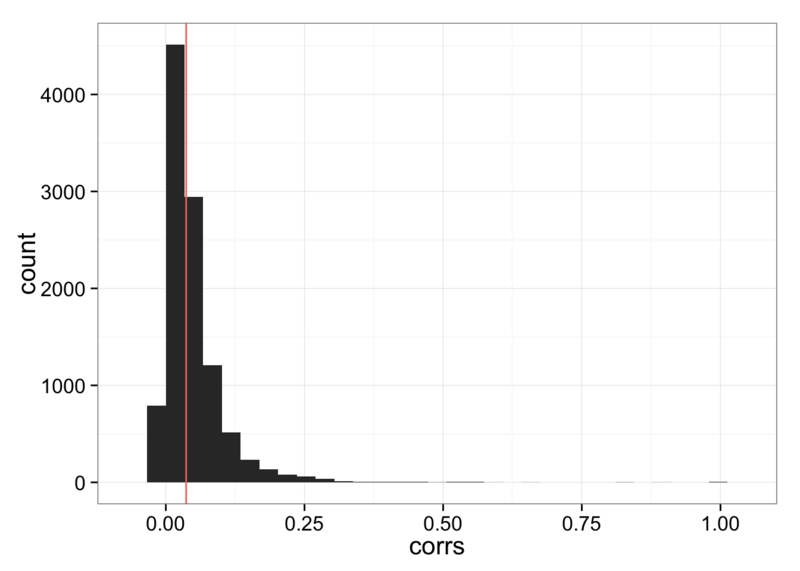 There seems to be more fluctuations in the correlation between the two methods in cell ranks per gene, which suggests a possible impact on the analysis comparing coefficients of variations between genes.